The Horowitz Center is located on Campus Drive with easiest parking in the West Garage. 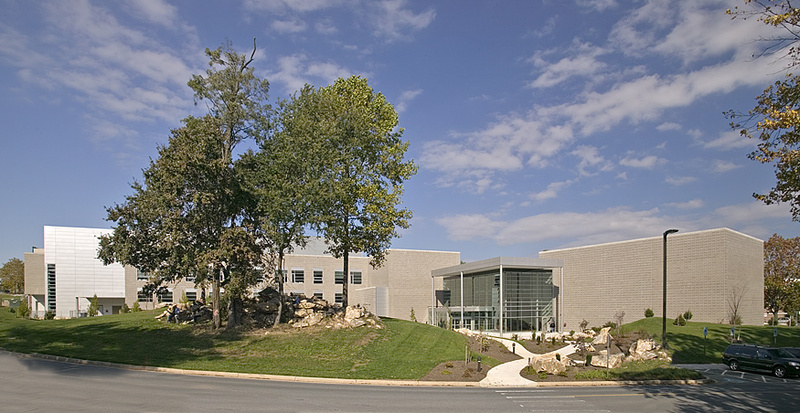 The Peter and Elizabeth Horowitz Visual and Performing Arts Center is home to three performance venues, two art galleries, two dance studios and multiple instructional facilities for Howard Community College's Arts and Humanities Programs. Performance venues include the Horowitz Center Studio Theatre with seating up to 250, the 119-seat Monteabaro Recital Hall and the newly renovated Smith Theatre which now features comfortable seats accommodating up to 424 guests. Most of our performances are held in Smith Theatre at the Horowitz Visual and Performing Arts Center. Free parking for Horowitz Center patrons is available in HCC's West Parking Garage, located at the South Entrance to the Horowitz Center. This 750-space garage is the closest parking lot to the Horowitz Center. Horowitz Center patrons are encouraged to arrive 30-40 minutes prior to showtime. This is especially important if you are attending a performance on a weekday when classes are in session. On the first level of the West Parking Garage. Along Campus drive on the South side of Horowitz Visual and Performing Arts Center. Behind the Horowitz Visual and Performing Arts Center by the trailer classrooms. In Lot E adjacent to the Rouse Company Foundation building. In Lot A adjacent to Duncan Hall. In Lot K outside Clark Library.